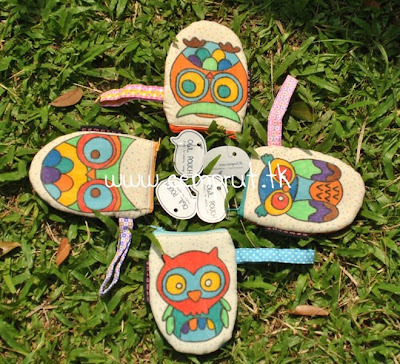 c e m p r u t: owl pouch...!!! once upon a time there is a group of owl named : JOHN, PAUL, GEORGE and RINGO. finally i give them name an: OWL POUCH...!!! yes, i forget to mention you about this pouch that i made. it's a cute pouch with a owl pic that i draw with a colourfull fabric marker. there's a 4 character: JOHN, PAUL, GEORGE n RINGO !! !